Visiting the doctor can be an exhausting blur for some older adults. 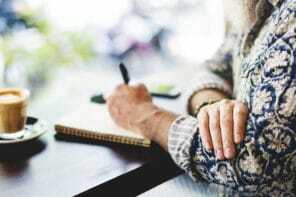 Many seniors aren’t able to fully understand what the doctor says, aren’t comfortable asking questions, don’t like to speak frankly about symptoms and concerns, or are too shy to insist on treatments that are in their best interests. These older adults need a trusted relative, spouse, friend, or care manager to help them understand their medical conditions and treatment options as well as communicate and coordinate with doctors to get the best care possible. We explain what a health advocate is and share 7 ways seniors benefit from having one. A health advocate helps someone navigate the medical system. They accompany seniors to appointments, talk with doctors, take clear notes, research health conditions, find specialists, and help manage health insurance and medical bills. A health advocate doesn’t need to be a trained medical professional – in fact, the job is often done by a family caregiver. If you’ve been caring for an older adult, this role probably sounds familiar to you. Most likely, your older adult has multiple health conditions and sees a variety of doctors or specialists. Because each doctor doesn’t have an overall picture of their health and treatments, it’s up to you to help medical professionals understand the full situation so your older adult can get the right care. 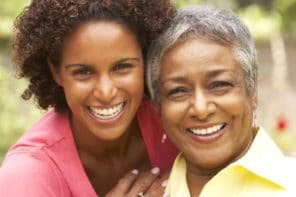 When you act as your older adult’s health advocate, you improve their quality of life and overall health. 1. Keeping track of old and new symptoms, problems with current treatments, or significant changes to discuss with the doctor. 2. Helping medical professionals understand the complete health situation and coordinating treatments to improve health problems without causing problems or side effects. And if side effects do become an issue, working with doctors to find a solution. 3. Managing current medications and making sure all medications and supplements are reviewed on a regular basis. 4. Going together to appointments and taking notes, bringing up important questions for the doctor, and making sure critical details aren’t overlooked. 5. Taking plenty of time to explain their health conditions, treatments, and why it’s important to follow the doctor’s instructions. 6. Finding the doctors, specialists, and hospitals that meet your older adult’s treatment needs and are covered by their insurance plan. 7. Dealing with health insurance – coverage questions, claims, billing errors, payments, etc. My brother is an advocate and power of attorney for my mother. He just downloaded a form and made my mother sign it. He is receiving and spending her Social Security checks on himself. Now my mother suffers greatly at the hands of doctors and nurses, because my brother forces them to keep her alive, so the checks don’t stop coming. This last hospital stay my mother was 89. Though she begged to die, she was kept alive . She looks like a corpse. My brother has done this to several helpless citizens in his neighborhood. He eats their drugs and spends their money. It’s awful that your mother and others are being taken advantage of by your brother. It sounds like it might help to speak to a lawyer to find out what you could do in this situation. Or you may want to alert Adult Protective Services or the police that this is happening so they can investigate.